Jan. 30, 2019; Written By: Sayer Ji, Founder; One of modern medicine’s most celebrated ‘miracle drugs’ are steroids, but a recent double-blind, randomized clinical trial found that honey plus coffee outperformed prednisolone in treating symptoms of post-infectious, persistent cough. One of modern medicine’s most celebrated ‘miracle drugs’ are steroids, but a recent double-blind, randomized clinical trial found that honey plus coffee outperformed prednisolone in treating symptoms of post-infectious, persistent cough. 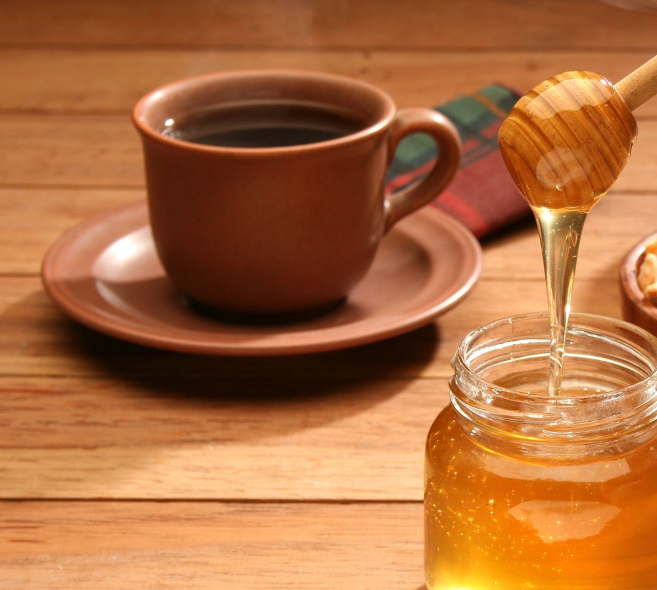 A remarkable study looking at natural alternatives to medications found that compared to a systemic steroid, a combination of honey and coffee was superior in reducing symptoms associated with a post-infectious cough (PPC). PPC is a cough that remains after a common cold or an upper respiratory tract infection for more than three weeks, and in some cases as long as several months. Conventional treatment may involve any number of powerful drugs, many of which have serious side effects, including codeine and dextromethorphan (so-called centrally acting antitussives), antihistamines, narcotics, and bronchodilators. A jam like paste was prepared which consisted of 20.8 grams of honey plus 2.9 grams of instant coffee for the first group (‘HC’). 13.3 mg of prednisolone for the second group (steroid, ‘S’). 25 mg of guaifenesin for the third group (control, ‘C’). 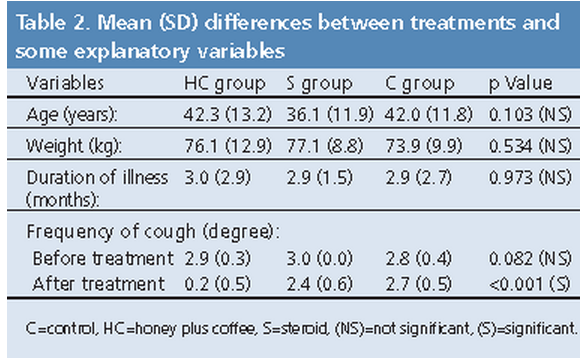 As you can see by the table above, the honey-coffee group saw their degree of cough frequency decrease from 2.9 before treatment to .2 after treatment, whereas the prednisolone group decreased only from 3.0 before treatment to 2.4 after treatment. Prednisone is a semi-synthetic hormone with a broad range of side effects, some of which are life threatening. 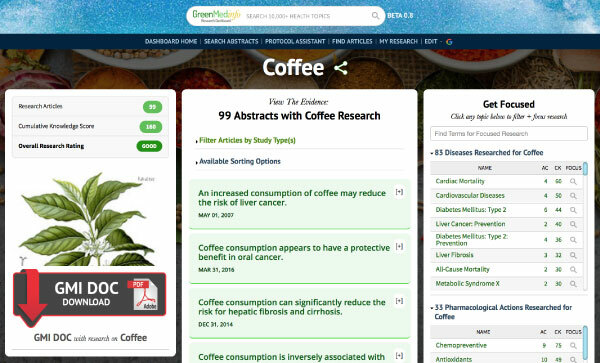 Given the relative safety and superior effectiveness of honey plus coffee versus prednisolone, this study adds to a growing body of biomedical research indicating that natural substances, including spices, vitamins and foods, are often superior in efficacy to synthetic drugs while often maintaining far higher levels of safety relative to them. The products we offer are dietary supplements and no statements contained herein this website or in any material or communication generated by Utopia Silver Supplements are to be construed as claims or representations that any of our products are offered as medicines for the diagnosis, cure, mitigation, treatment or prevention of any disease. We do not give "medical" advice and have no doctors on staff. Anyone desiring to purchase medicines should first consult a healthcare professional or naturopath.